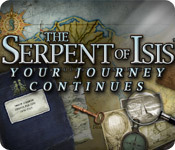 Serpent of Isis: Your Journey Continues is rated 3.7 out of 5 by 40. Rated 5 out of 5 by SparkleGlow100 from Wonderfully relaxing with compelling storyline – TONS of HOPS (ignore the unfortunate sounding name.) Go to Italy and France and more, explore a train, ride gondolas, and explore your grandfather’s old house, hiding clues. The HOPS are fun and attractive, and mainly wordlists. 9hrs 58 minutes was the cumulative game time, and that included skipping a lot of puzzles! One of my favorite type of games I’ve realized are the HOPAS that have less color, outstanding looking HOPS and are more on the calm side. This is one of those games. There are no voice-overs, and the characters zip on and zip off, look cartoonish, and have a set number of facial expressions. However, the background surrounding artwork is really good. Appropriate sound effects combine to create a game atmosphere that is so much more involving and immersive than many of the current games, at least that's what I found. I couldn’t quite get to grips with the puzzles, and ended up skipping many. I wanted to try them, but I couldn’t get them to work right sometimes. GRAPHICS: Soothing to the eye. Neutral palette with soft-focus. Nice artwork. Wonderfully stylized. HOPS: Always word lists with sometimes many of an item eg, 4 dice, 7 teapots etc. Good looking and relaxing. PUZZLES: Several, and not always straightforwards. You can skip. SOUNDS: 3 HINT: Limited Hints. You collect different items per chapter. Luckily I never ran out and usually had between 4-7. At one point I had 12. DIFFICULTY: Only 1 mode MAP: Travel map, and shows active sites. INVENTORY: Not lockable JOURNAL: NONE. Your clues are saved as info in your inventory. CHARACTERS: Very likeable, even without the voice-overs. Maybe more so, because it’s the style of the game. Rated 5 out of 5 by PiepPiepPiep from Great story and scenes I loved the first Serpent game and this one is so much better. It keeps you playing for hours with lots of hiddden objects you have to find. The story continued from the first Serpent game and it kept me interested until the end. Rated 5 out of 5 by ellekbee from Interesting, fun, and different This game is the most fun! You follow Robert on a journey he inherited from his grandfather, Robert must finish grandfathers mission/expedition. Robert is helped along by his sister Sophie. Together they explore and open up a lovely display of HO's and puzzles. I enjoyed "traveling" and backtracking throughout the game. Loved Robert and Sophie.Hidden object scenes were fantastic and plentiful. Puzzles were very well done and tricky. Moving throughout the game was easy enough, and beautifully done graphics. Characters were super, figuring out what to do next, keeps us guessing. For a really fun time, choose this game. NOTE: people who wear glasses some items are tiny. Nice long play time. Hints were ok, not the best. Map very handy. Secret objects, some easy to locate, others not so much, but using time to find them works out well, I was able to complete all but one secret object card. I recommend you go find the Serpent of Isis for yourself. I am sure you won't be disappointed. This game is not dark, morbid or creepy! Music is nice while you play!!! Rated 5 out of 5 by Aussienanagamer from A GOOD CHALLENGE Just finished and found it a challenge...great HOS. Mini-game puzzles could have had more instructions on how to complete - I had to use the walk thru hints a couple of times to work out what was required. I loved that each chapter ended and it was a convenient place to leave the game and not have to come back and try to pick the story line up again. Great all around game and for me a good balance of story and HOS - I really don't like too many HOS. Recommend! Rated 5 out of 5 by sunflowrr from One of the best visual HOG's out The difference between this sequel and the 1st Serpent of Isis game is like night and day. The graphics on this game are some of the best I've seen on any HOG out currently. The transition screens are not too long, and the dialouge is not too boring as I've experienced in other games. I also like how you can click on the map to go to different places immediately without having to backtrack thru several different screens. Graphics are one of my top criteria when playing these types of games and this one does not disappoint at all. Definitely recommend! Rated 5 out of 5 by centauri272 from Nice game! I had a great time playing this game. I played in expert mode. The storyline is interesting. The graphics are crisp and clear. The objects in the HOS are easy to find. The mini-games are quite easy. The hint system is good. You are penalized if you click to much. 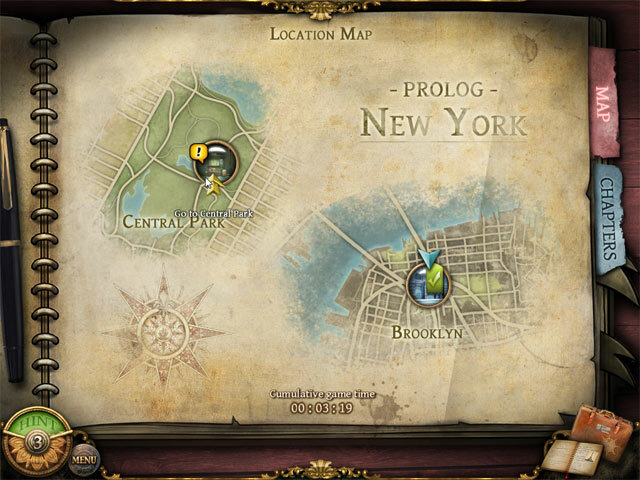 The map is very good since it shows you where there is something to do, and you can use it to jump to another location. There are also special items to find (I didn't find all of them, so I will have to play again...!!#. There are 7 chapters and the game is quite long (5-6 hours). I enjoyed the time and I wish you the same! Rated 5 out of 5 by Newbie13 from Challenging and fun! Serpent of Isis and the sequel (..Your Jorney Continues) is by far one of the best hidden object games offered by BigFish. It combines different types of challenges (hidden objects, strategy, puzzles, etc) to keep you engaged. The graphics are wonderfully created and the storyline flows well and keeps you sufficiently hooked. Can't find anything at the moment, which compares with it. Great game! Rated 5 out of 5 by jddrn from Loved it! I had a great time with this game! 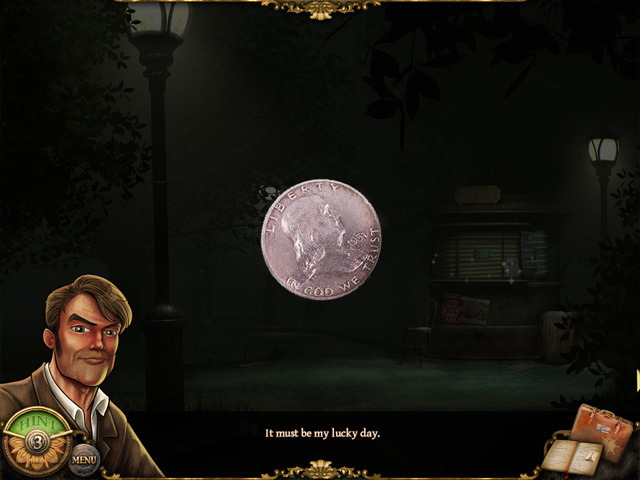 I loved all the hidden object scenes and the puzzles were fun. 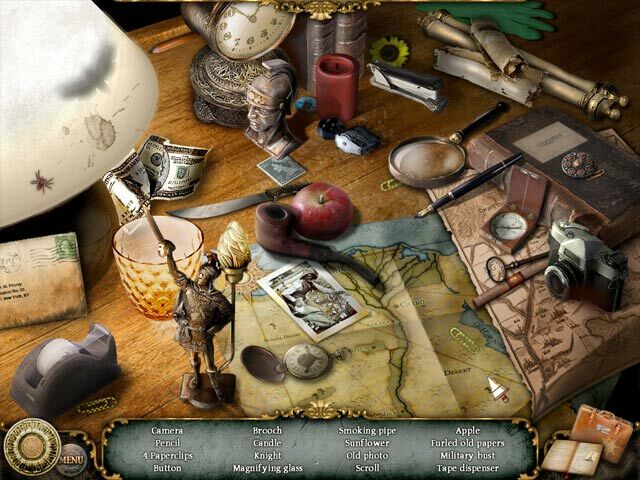 I recommend this game to those who enjoy a lot of hidden object searching.